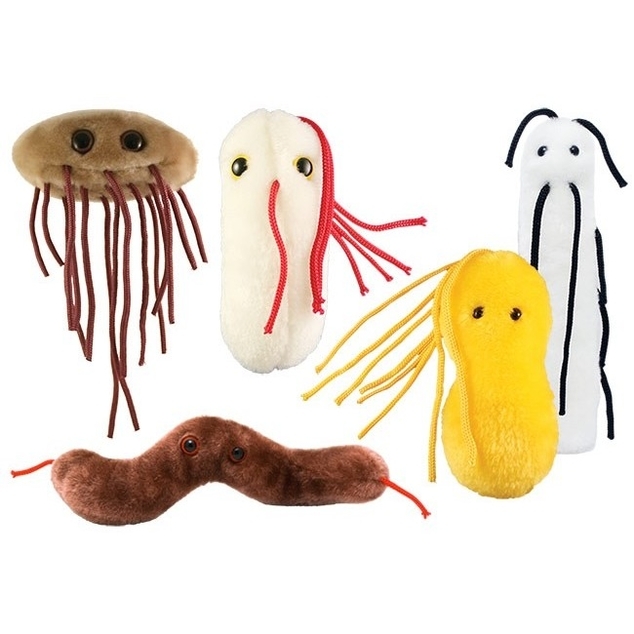 Gut Check Pack includes minis of E.coli, Diarrhea, Food Poisoning, Salmonella and Ulcer. You are what you eat, even if it's these bacteria. This hilarious 5-pack will give you the sensation to make preparation for the situation, so you won’t face dehydration, that's harmful to your reputation. It’s Gut Check time, so be careful - food poisoning can B. Cereus! These GIANTmicrobes are 2-4" in size.